The Wheels Manufacturing BBRight Outboard bottom bracket gives you all of the same benefits as their usual outboard style BBs. The two machined aluminum cups thread together so the bottom bracket remains stable in the frame, which increases bearing life, simplifies maintenance, and guards against creaking. It allows for easy bearing replacement, too. 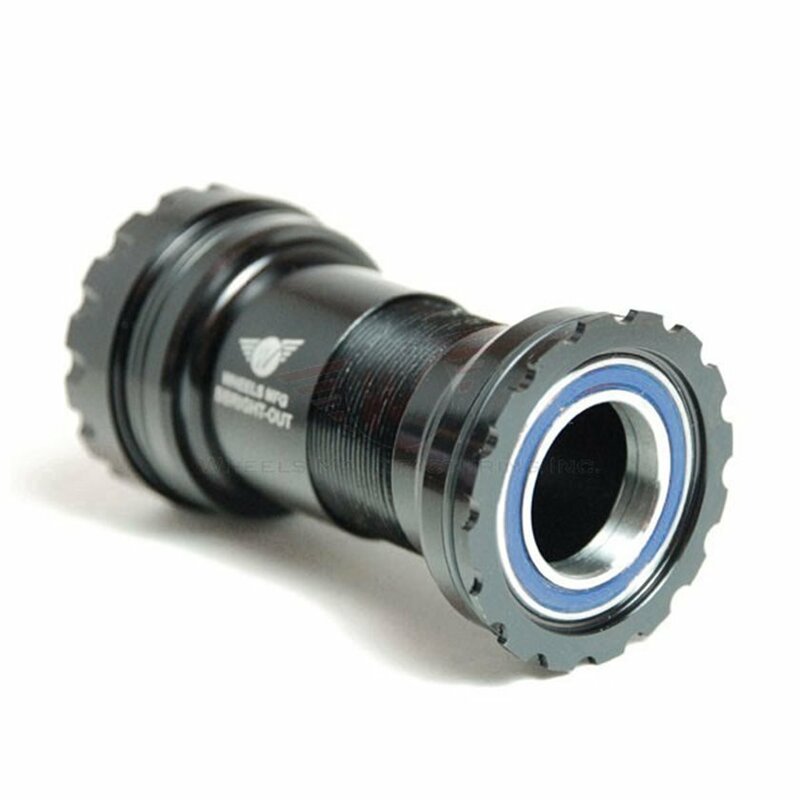 This BB directly replaces all OEM BBRight bottom brackets. Note: Use only bottom bracket tools compatible with 16- notch MegoEvo BB's. (FSA MegaEvo and Park Tool BBT-29). No more creeks from my press fit bottom bracket and a solid quality made part. The BBRight bottom bracket design is garbage. It's been noisy from the beginning and the bearings wear out way too quickly. Finally, Wheels Mfg. has released an adapter to setup my Cervelo with a quiet and more reliable BB. The only reason I don't give them 5 stars is that I couldn't get this back in 2014 when I bought my Cervelo. Way better than press fit. This make way more since than press fit. It can be remove and preplaced. Less movement leads to less noise.